Ras Girtas Power Company is a joint stock corporation established to increase Qatar’s capacity of water and electricity. Located on the Ras Laffan coast, the plant puts out 2,730 megawatts of power and 63 MIGD of potable water, making it one of the largest facilities of its kind in the entire world. 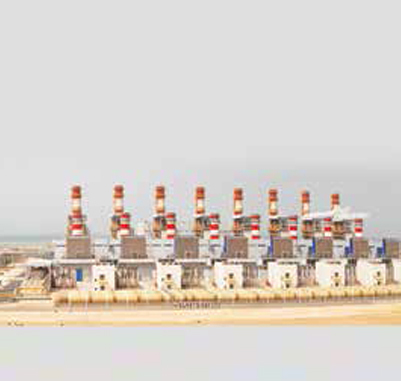 Ras Girtas’ output accounts for 30% of Qatar’s power capacity and 17.5% of the water capacity. Ras Girtas draws upon Qatar’s vast natural gas resources, which are supplied by Qatar Petroleum, Power and Water are generated by employing state of the art gas turbines, steam turbines and boilers. A Power and Water Purchase Agreement (PWPA) has been signed with Kahramaa to supply its entire capacity to Kahramaa for the first 25 years of operation. In March 2008, the EPC contract was awarded to Mitsui from Japan, with major subcontractors being Hyundai Engineering Co. from Korea, Mitsubishi from Japan and Sidem from France. The project was completed in a record time of three years. Financing for the US$ 3.5 billion project was led by Qatar Petroleum. Funding was received from the Japan Bank for International Cooperation, a consortium of 20 senior commercial banks with QNB being the local bank, and local Islamic Finance from Qatar Islamic Bank. Ras Girtas will be instrumental in building significant reserve capacity into Qatar’s power and water infrastructure, preparing the country for the future as well as providing a margin of additional capacity if required. Since His Highness Sheikh Hamad Bin Khalifa Al Thani came to power as the Emir of Qatar in 1995, Qatar has blazed a trail of economic and social progress in the region. 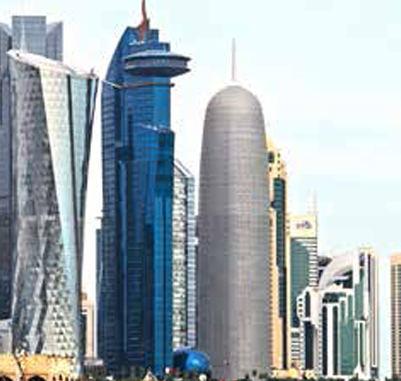 Through shrewd planning and foresight, Qatar’s leaders have built upon existing synergies in its hydrocarbons sector. Downstream processing plants have been built for a number of hydrocarbons derivatives such as plastics, fertilizers, olefins and melamine among other. This constant growth demanded constant upgrades to the country’s power and water infrastructures, which also had to keep up with a fast-growing expatriate population that flocked to Qatar to take advantage of vast new opportunities opening up in the country. In response, Qatar built a series of power and water plants, never failing to meet demand. Today Qatar is a shining beacon to the world. It boasts the world’s highest per capita income, a diverse multicultural environment and boundless potential for the future. It has also become a hub of sport and culture in the region, boasting one of the Islamic world’s finest museums. Qatar also won the bid to host the 2022 FIFA World Cup, announcing its arrival on the world sporting scene. Qatar’s leaders and people remain committed to building a glorious future for our beloved country.